When it comes to the weather, both are still perfect. But that depends on WHEN you're going! Let's focus on both summer and winter seasons, which are the two main weather forecasts. In January, Madrid has a very cold 9.7 degree weather, compared to the 13.4 degrees Barcelona has. During the summer in July, Madrid is usual averaging a whopping 31.2 degrees, while Barcelona would usually be 28 degrees during the hot weather in August. While Madrid has more sun, Barcelona is quite humid and a tad colder during the right seasons. The former is quite hot to visit, with Barcelona being less intense when it comes to the heat. We recommend you to definitely bundle up during the winter season, whether it's Madrid or Barcelona. As for the summer season, you'll probably want to stay clear from the heat of Madrid and enjoy a cooler Barcelona. That is, if you aren't fully accustomed to weather over 30 degrees! Just remember to bring a fan and small towels for the sweat that's to come while walking around. Because of it's warmer weather during the winter and slightly colder weather during summer, we can say that Barcelona wins this round! The first thing to know about Barcelona would be the amazing Gaudi. His works of art are displayed around the streets of Barcelona, where people will be able to view and appreciate the colorful beauty. 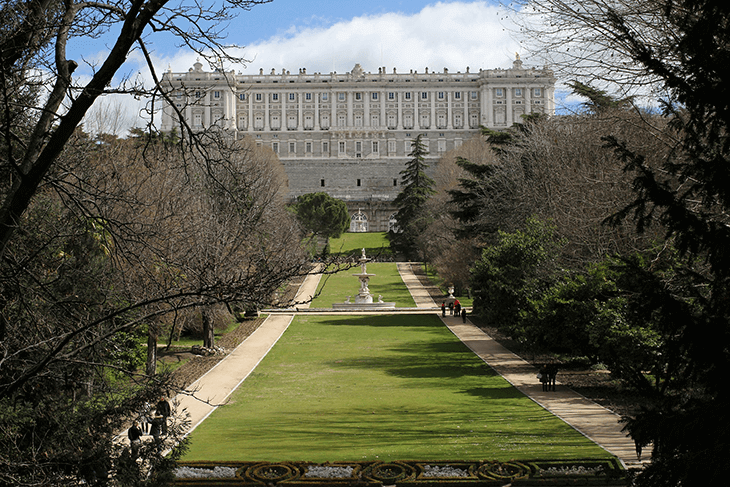 Madrid has the classy look and places to see, where its monumental architecture will astound those who love infrastructures and the rustic look. Also, Madrid has the better museums, making it perfect for art lovers. It all depends on your taste. Both are equally exquisite with completely different lifestyles and looks, but they both hold the same wow factor. As for activities, Madrid has the better night parties! They're known for their nightlife (though Barcelona is also fun!) and locals, so you are assured a great time no matter the time. Both have similar calendars: jam-packed with events and a lot of awesome parties! But when looking for things to do with the family, Barcelona wins, as it's more friendly towards children with lots of fun things to see and do together. 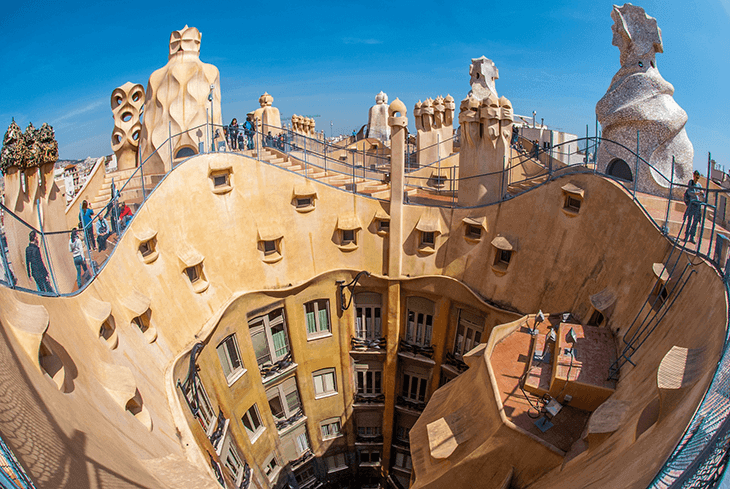 There's no clear winner for sightseeing and activities, though I'm sure people who want a bit of everything would gear towards Barcelona for the Gaudi architecture and modern feel. 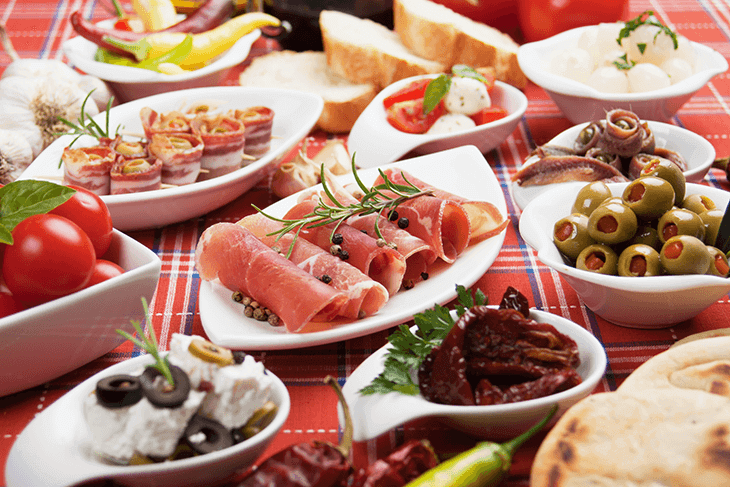 Food is one of the most important things you'll need to research on when visiting an area, and both Madrid and Barcelona have delicious food no matter! BUT, eating in Madrid is less of a hassle, as you can easily find the restaurant scene. 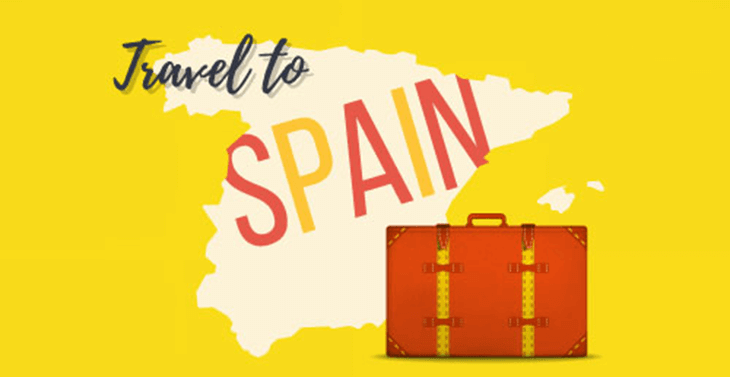 Being the capital of the country, you are assured the finest of Spanish food, and not only will you get a taste of authenticity, but you'll also get a taste of ALL regions and cultures of Spain and the world as well. You won't need to worry about the tourist-focused food stalls and restaurants, as you're getting the real deal. Plus, it's less expensive as compared to Barcelona. While you can find great eats in Barcelona, it will take a bit of walking and looking around before you spot something genuinely delicious. Plus, they end up costing a bit more and focus more on the tourist's palette, making it less authentic as compared to the capital city. BUT, Barcelona also has more Michelin-starred restaurants as compared to Madrid. Also, since it has a coastal location, you'll enjoy its wide spread of quality seafood. So who wins this round? We have got to say Madrid for its authenticity and prices. While both have a ton of tapas bars, fresh markets, and traditional Spanish cuisine, you'll get more of a taste from the country's capital city. Madrid may be the capital city, but Barcelona is one of the most visited spots tourists go to when in Spain. But with that being said, they are still one of the cheaper places to visit, as per northern European standards. Madrid is SLIGHTLY more expensive than Barcelona, though. Studies and reports show that consumer prices (including rent) is higher in Madrid by almost 2%, so it isn't a huge dip, but a significant cost, if money is what you're basing your trip on. Economy and employment rates are higher in Madrid, with salaries higher in the capital city as compared to Barcelona. So it may be the cause of the more expensive cost of living. It all depends on your lifestyle and how you spend your money. So long as you avoid tourist traps, you'll find that both are similarly priced. For tourists looking to save up, we can say that Barcelona is the winner here, but only by a small amount, to be fair to the capital city! Just remember to budget and spend your money wisely, and you won't have a problem. Like what we mentioned, Madrid is definitely the life of the party! But that doesn't mean Barcelona isn't fun to go around in at night as well. While both have an avid nightlife and bars to go around in where you can meet new people, we love the homeliness Madrid has. They say that in Madrid, locals do the partying, where in Barcelona, it's the tourists. While tourists are fun to be with, you're there for the local scene and culture. In Madrid, you'll find more locals celebrating a night of fun and laughter, where the streets are filled with nightspots. In Barcelona, they have great individual bars and clubs, but it's less of a hassle to look around for a place to party when in Madrid. Some have said that Barcelona seems a bit tacky or mainstream with their nightlife, because it's all similar and catering to tourists. In Madrid, it offers a more unique vibe no matter where you are. It's also host to the largest Pride festivals in the world! So the winner here is Madrid, with their awesome and long-lasting parties. The culture is difficult to measure. After all, you're tasting and experiencing different lifestyles as you visit both places! The competition is fierce, since locals have a lot of pride and strength that keep their culture alive, as well as beautiful museums. But in Madrid, you have a capital city, a cosmopolitan where it is one of the most accepting cities with art and culture centers all over. You can even experience the culture just by walking down the street! If you're looking for a more genuine and authentic culture without the touristy-focused areas, then we've got to say Madrid is the one for you. Since Barcelona caters to a lot of tourists, more so than the capital country, you'll be able to experience a whole new world of culture and meet the friendly locals who will gladly take you around the grand and classy structures of Madrid. The winner here would have to be Madrid, since it is less touristy and easier to roam around in, especially with friendly locals there to guide you! When traveling to Spain, you may have to choose between Barcelona or Madrid, or you're just curious as to what the people's choice is. After considering all the aspects, I believe that Barcelona is the more lovable one for tourists. With its great attractions and activities travelers will love, it's definitely a winner! While Madrid is a very beautiful place with promise, it's more livable and has beautiful architecture and a complex city with history. It's also a great place to visit for those who want to see the classic appearance of Spain, compared to the urban and busy streets of Barcelona! In the end, both are astounding in their own ways, but my heart still goes to Barcelona for its beaches and cosmopolitan nature in the end. Oh, and the food is very delicious as well. Madrid has the classy and rustic appearance that takes us back to older times, while Barcelona is a mix of urban and class, making it perfect for everyone- family, friends, or even solo ﻿﻿backpacking! We hope you found the article informative! If you have any more questions or thoughts regarding Madrid and Barcelona, then comment down below. We'd love to hear your opinions on both wonderful cities.